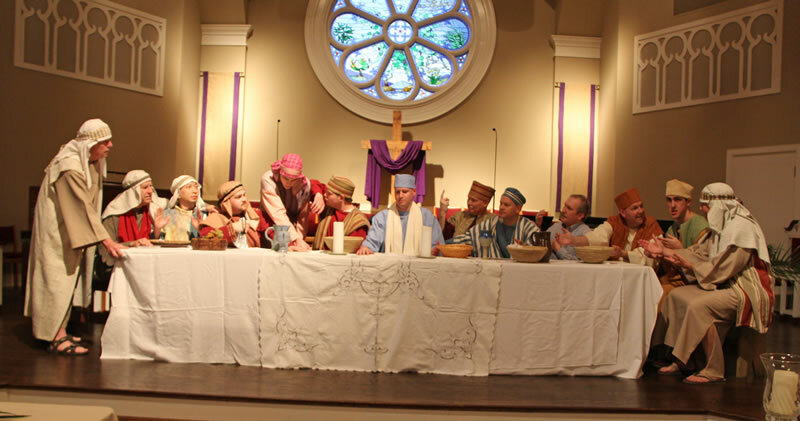 In addition to fellowship activities within our Small Groups, there are many church-wide events and special worship services held each year. Visitors from the community are always welcome to join us! This page gives an overview of the typical events we include each year. Keep an eye on our Calendar for dates and details. Join us for lunch in Fellowship Hall one Sunday each month, September through April, from 12-1:30 p.m. 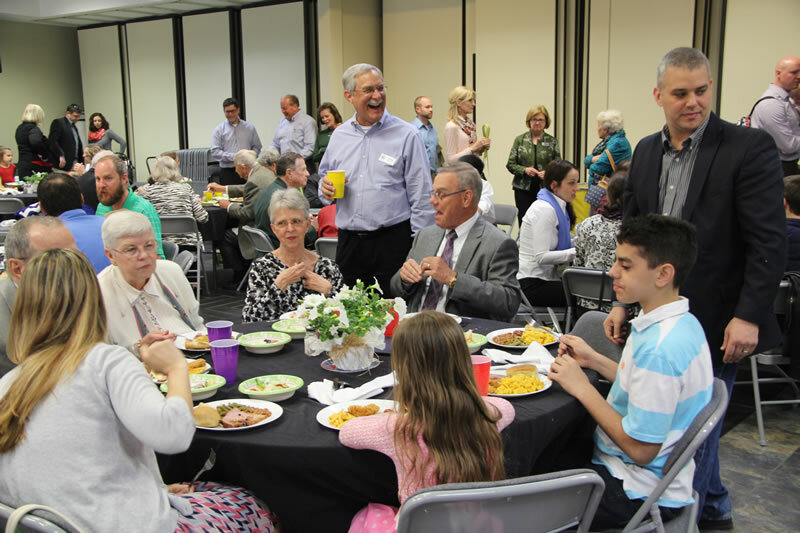 These fellowship lunches prepared by a professional chef offer an opportunity for our church family and visitors to enjoy a monthly meal and conversation together. The cost is $3-6 per person and credit cards are accepted at the door. No reservations needed. To begin the season of Lent, children and their families gather for a Shrove Tuesday- style pancake dinner, followed by hands-on Lenten activities and the imposition of ashes. We begin the season of Lent with a special worship service and the imposition of ashes. On Palm Sunday, children in 1st through 5th grade walk through Holy Week together with crafts, activities and symbols of Palm Sunday, Maundy Thursday, Good Friday, and Easter. The children then lead a Palm Processional during the 11 a.m. worship service. 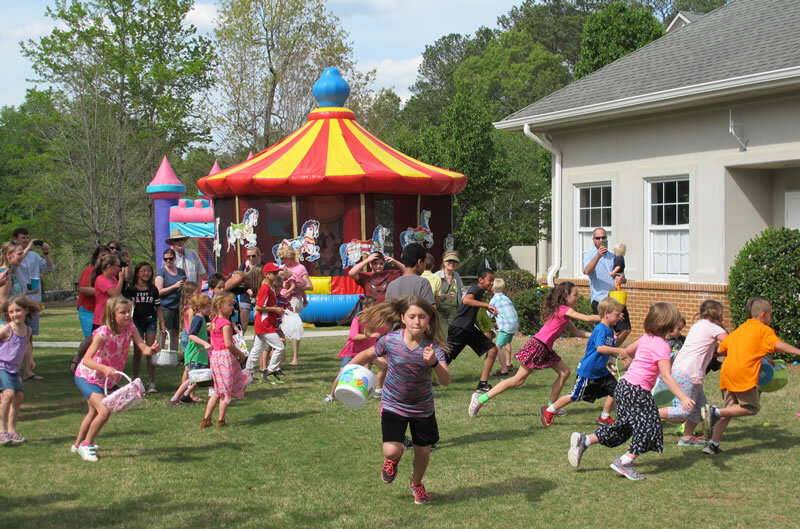 Elementary children enjoy an age-divided hunt and bouncy houses on the church lawn while middle and high school youth meet during Youth Group for an Intense Egg Hunt of their own, encompassing the entire church property. Worship services include: Palm Sunday, Maundy Thursday Communion, Good Friday Service of Lights, Easter Sunrise Communion at 7 a.m. in our outdoor chapel, and Easter worship services at 9:30 & 11 a.m. in the sanctuary. APC adults and teens with a parent have the opportunity to offer assistance to and get to know people in impoverished communities around the world. We often send teams to Haiti with La Gonave Partners, and Kenya, Africa, with Habitat Aid Initiative. An afternoon of hands on projects for all ages benefitting our mission partners. 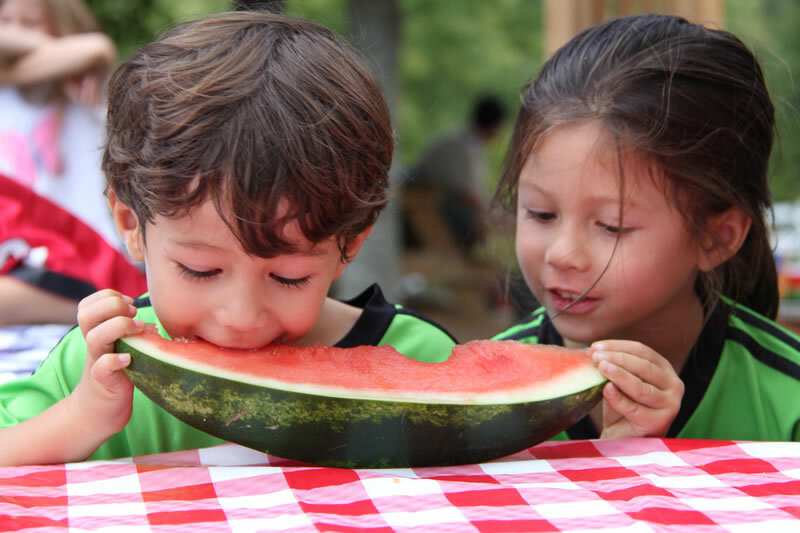 Bring a side dish to share as we enjoy a spring picnic and games on the lawn together after worship. Youth take leading roles in worship and we celebrate our high school and college graduates with a special slideshow. 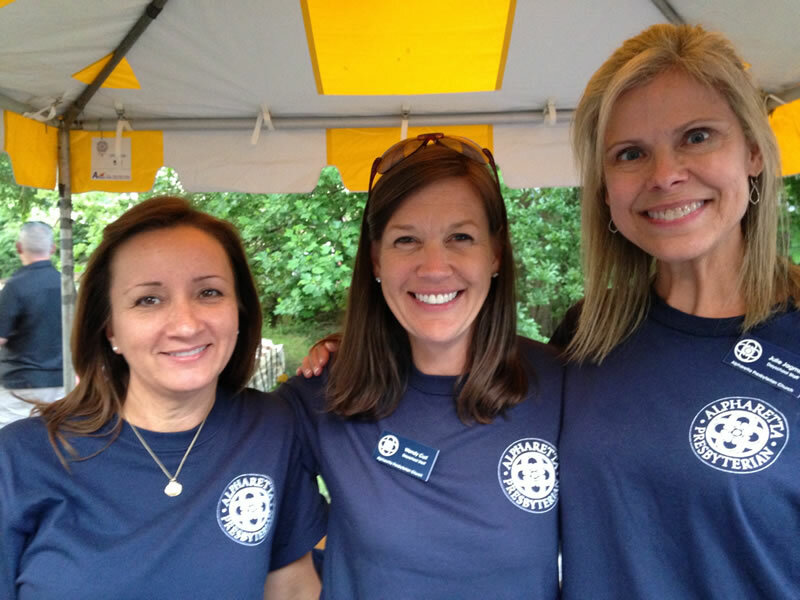 APC’s youth travel to serve others in the Southeast each summer, and internationally every three years. In 2017, middle school youth served in urban ministry in Charlotte, NC with CROSS Ministries. High school youth traveled to Peru in South America to build houses with the Fuller Center’s Global Builders. 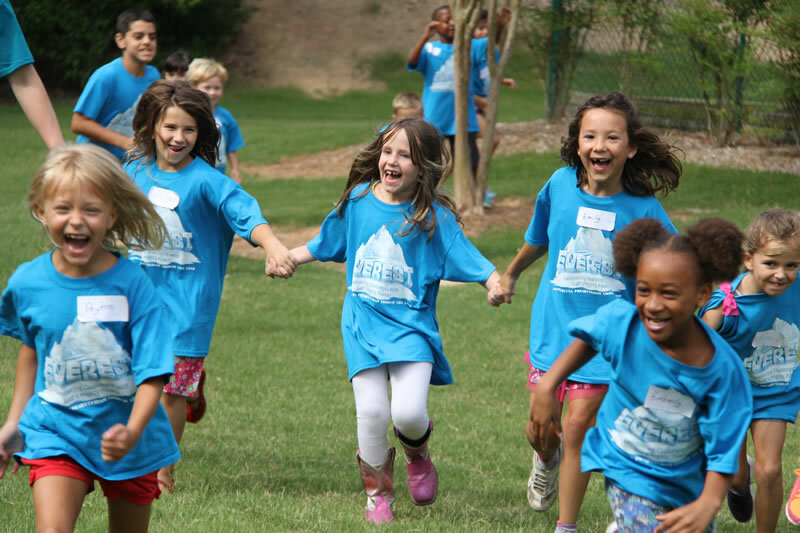 APC welcomes hundreds of community children each summer for a week of Bible stories, song and dance, arts and crafts, sports and snacks. Students of all ages bring their backpacks into worship for a blessing from our pastors, helping them start the school year with special prayers. APC’s children play a leading role in worship on this special Sunday. 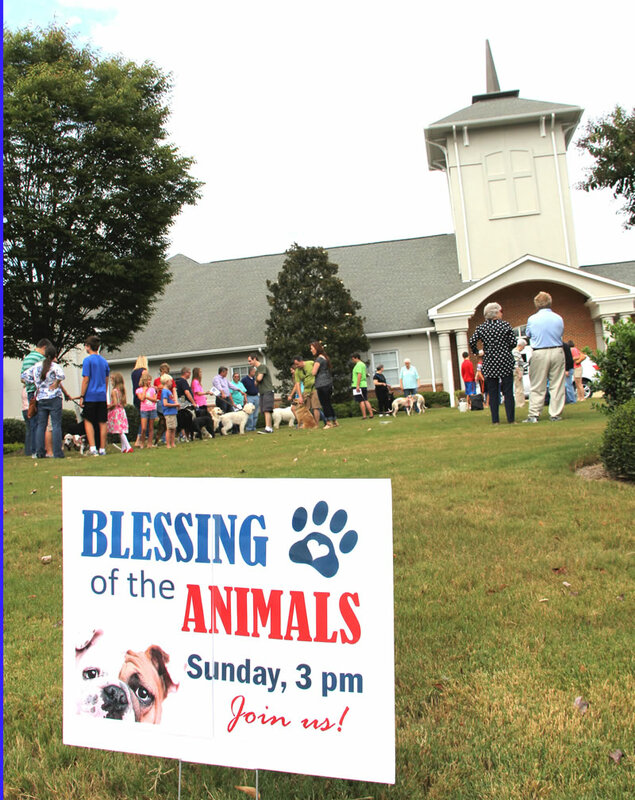 Bring your furry family members to the front church lawn for a treat and a blessing from APC’s pastors. 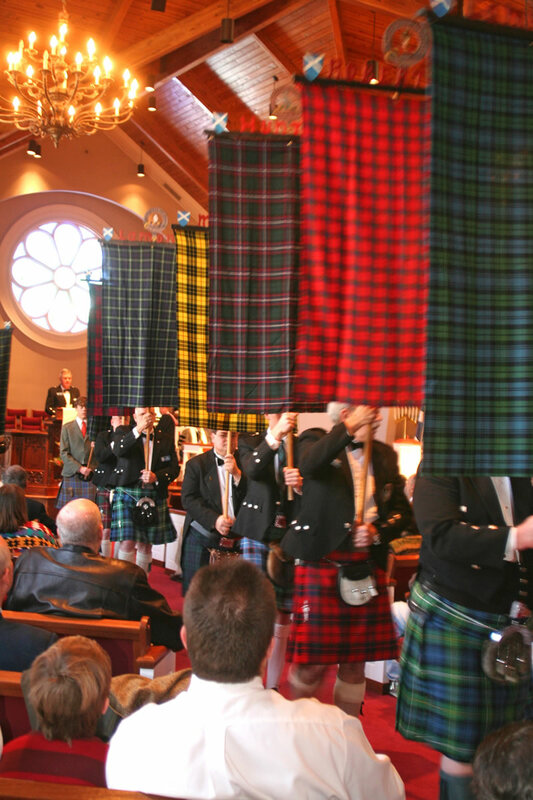 APC celebrates the Presbyterian church’s Scottish roots with bagpipes and a parade of tartan banners–an old tradition of recognizing the providence and sovereignty of God. Bring your blanket to the church lawn for popcorn and a movie at dusk on an inflatable screen. Children in costumes enjoy visiting decorated car trunks in APC’s back parking lot for sweet treats. Children are reminded of the “reason for the season” during this angel-themed breakfast filled with crafts and special “angel” visitors. APC’s music ministry shines during the Christmas season with special performances by our choirs and guest instrumentalists. 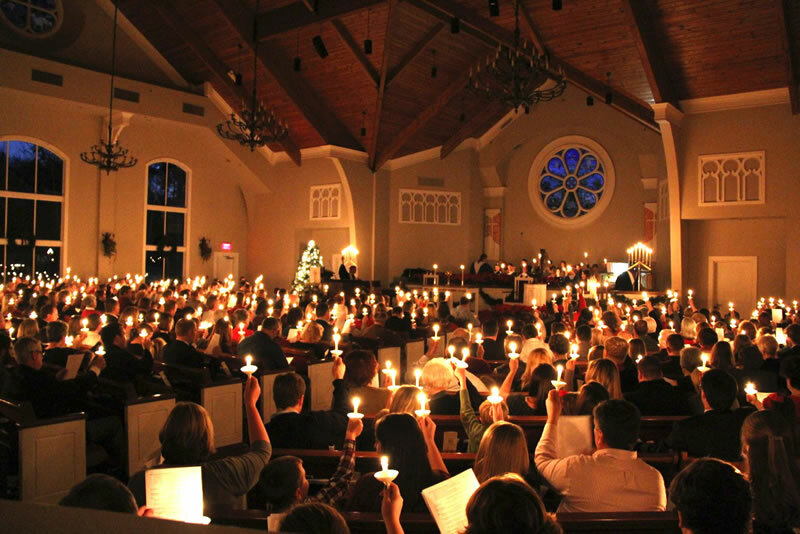 Worship services include a Children’s Service at 3:30 p.m., two services of Carols and Candlelight at 5 & 7 p.m., and an 11 p.m. Candlelight Communion service.